ASPPNY is hosting an evening viewing of Freedom Journey 1965: Photographs of the Selma to Montgomery March by Stephen Somerstein, now on view at the New-York Historical Society. 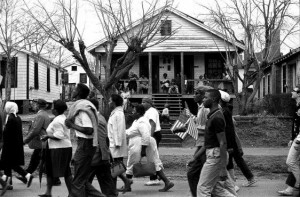 This exhibit features the stunning and historic photographs of Stephen Somerstein, documenting the Selma-to-Montgomery Civil Rights March in January 1965. Somerstein was a student in City College of New York’s night school and Picture Editor of his student newspaper when he traveled to Alabama to document the March. Meet in the lobby of the Central Park West entrance at 5:50 pm. Afterward, we will head for a drink and a snack at Cafe Frida at 368 Columbus Avenue (between 77th & 78th streets). Also on view that eveing is Chinese American: Exclusion/Inclusion which explores the centuries-long history of trade, racism and immigration between China and the United States—a history that involved New York from its very beginnings. 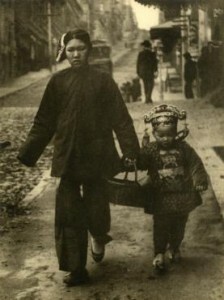 This exhibit includes numerous photographs and artifacts.